Give 3 hints about one of the cards in your hand. Say If your opponent guesses from 1, Puppet Master doesn't attack. 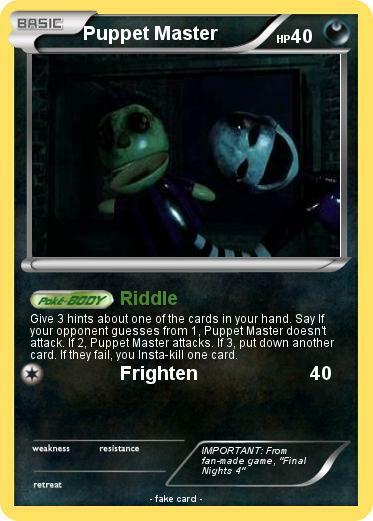 If 2, Puppet Master attacks. If 3, put down another card. If they fail, you Insta-kill one card. Comments : IMPORTANT: From fan-made game, "Final Nights 4"